« Weapons of Mass Deduction. I’m glad it made you laugh so heartily. And I did…. but I do admit I don’t quite laugh like that. it’s dramatic, but too….. evil! Hilarious! 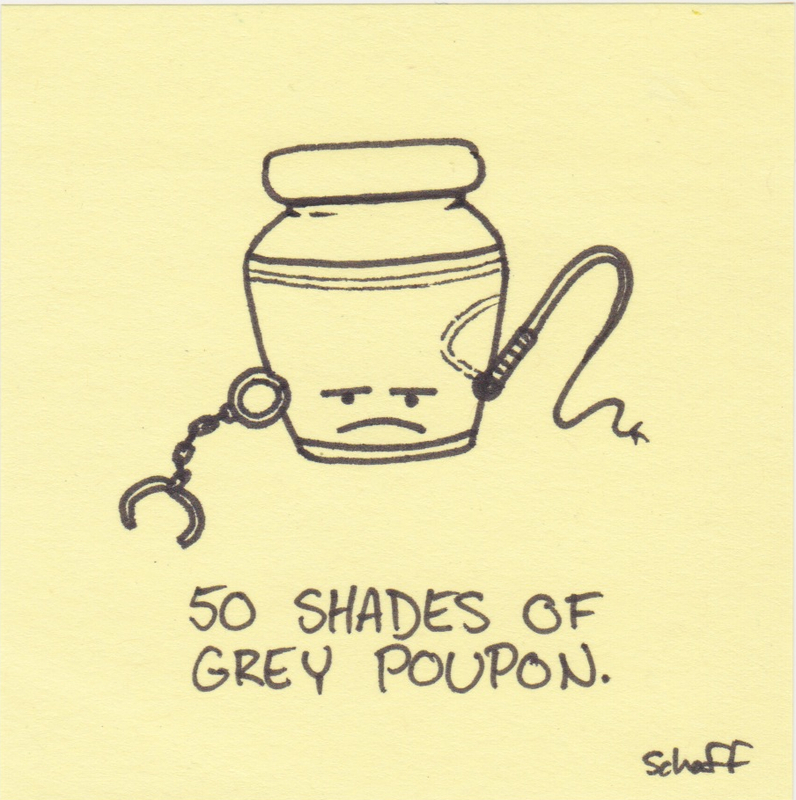 – and I LOVE Grey Poupon! Do you post daily? No, eh? Daily, no. Weekly – I will make a better effort. I have lots of these drawn, it’s just a matter of scanning and posting. Ha your sketches are ace! And your comment is tops!